Though spring is just a few weeks away, any avid hiker knows that the winter hiking season is far from over. Many mountains continue to see snow at the summit well into the spring and even summer in some cases. As such, it's never too late in the season to review some of the most important winter safety tips. The first and perhaps most important rule of winter hiking is to never go it alone, according to Section Hiker. While the thought of a solo escape into the snowy wilderness can sound exciting and tranquil, it is not worth the risk. Even in the best conditions, hiking alone has its risks. These potentials for danger and deteriorating health are even more heightened during the colder months. Consequences include hypothermia, frostbite or trench foot and knowing the signs and symptoms of each is important. The source advised having a Wilderness First Aid class under your belt so that you know what to do in the event of an emergency. Additionally, even when going out on the trail with others, it is critical to leave your plans and whereabouts with someone at home. Your clothing choices for hiking play a key role in your comfort, health and safety on the trails. Dressing in layers and selecting the right materials is of paramount importance in winter weather, Yukon Charlie's explained. Your initial layers should be tech-like clothing that trap in heat to help keep your base warm. Your outer layers should most definitely be water-resistant and insulated. Layering is also a smart idea, as temperatures on the trails can change quite suddenly in the winter months. This allows you the freedom to remove or add layers as needed. Trekking poles can offer additional support when covering icy terrain and snowshoes or crampons may be advisable in rough conditions, the source explained. Another winter safety tip from Yukon Charlie's is to opt for shorter hikes as longer, more treacherous hikes pose more of a danger. When you embark on hikes of shorter distances, in the event of an emergency you will be closer to reaching help. Similarly, starting your winter hikes early is the safest bet. As mentioned above, the sun sets much earlier during the winter and as such, your daylight hours will be shortened. In the hot summer months, when you're working up a sweat, you're more likely to feel thirsty. When you're bundled up and trekking through the snowy woods, it's not as easy to tell that your body needs water, the North Country Trail Association explained. Staying hydrated during winter hiking however, is extremely important. Follow the normal rules of drinking enough water throughout your hike and even consider adding electrolytes to your water source. Likewise, packing enough nutritional food - and even more than you think you'll need - is important to keep your body fueled. 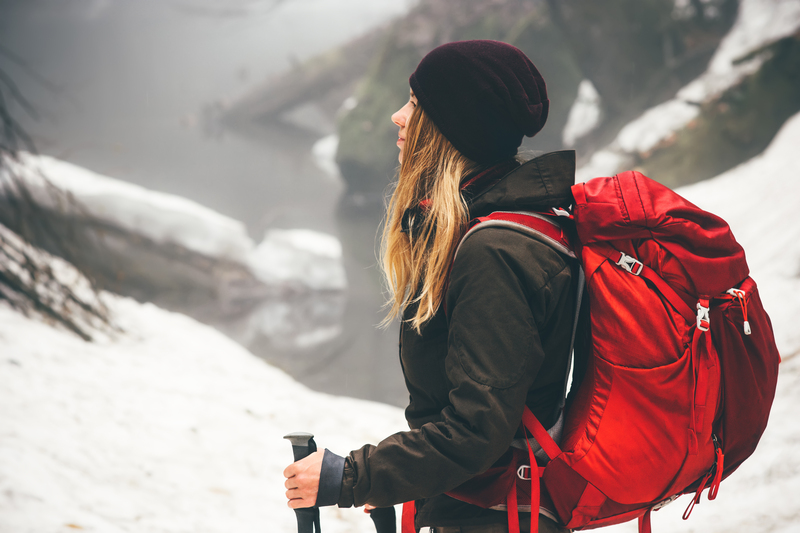 With these tips in mind, you'll have a safe and successful winter hike.